Hall, Alaric and Kaislaniemi, Samuli (2013) ‘“You tempt me grievously to a mythological essay”: J. R. R. Tolkien’s correspondence with Arthur Ransome”, pp. 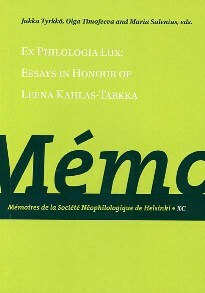 261-80 in Tyrkkö, J., Timofeeva, O., and Salenius, M. (eds) Ex Philologia Lux: Essays in Honour of Leena Kahlas-Tarkka. Mémoires de la Société Néophilologique XC. Helsinki: Société Néophilologique. 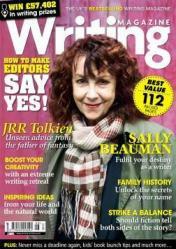 Coston, Paula (2014) ‘Tolkien on writing… and me’, Writing Magazine, August 2014, pp. 12-14. ‘Ah, but you’re a fairy,’ said Dan. ‘Have you ever heard me say that word yet?’ said Puck quickly. ‘I shouldn’t like it at all,’ said Dan. ‘That’s how the Djinns and Afrits talk in the Arabian Nights. In this respect, I think Hall and Kaislaniemi are completely right to link Tolkien’s terms ‘puckish’ and ‘mortals’ with ‘On Fairy-Stories’ and the distaste Tolkien expressed in this essay for ‘flower-fairies and fluttering sprites with antennae’, though for me the link comes through Kipling’s, rather than Shakespeare’s, Puck. This much-quoted Tolkienian phrase strongly echoes Kipling’s words above especially as Tolkien continues: ‘that I so disliked as a child, and which my children in their turn detested’. Verse is… in many ways like games… The net is just a nuisance; the white lines are silly and unreasonable: all they do is to make some lovely hard hits count as ‘out’. But without them? I suppose you could just swipe the ball where you felt inclined… But actually the most beautiful, graceful and determined strokes are made by those who have learned to obey the rules and still hit the ball with force. A lovely analogy indeed, but not Tolkien’s own: here, Tolkien actually plays on a well-known and very quotable line by Robert Frost: ‘Writing free verse is like playing tennis with the net down’. Frost, like Tolkien, was a great believer in formal poetry and its adherence to metre, rhythm, and other sound effects (including rhyming) and many of his poems are memorable because of the masterful way he combines form and content. Frosts’s quote dismisses ‘free verse’ as poetry without any rules (an overgeneralization, to make a point) and Tolkien builds on that to describe the sort of (formal) poetry he liked to write: alliterative verse, rhyming couplets, and numerous poems with complex rhyming schemes, unusual metres, etc. Frost, Robert (1935) Address to Milton Academy. [Public Lecture, Milton Academy, Massachusetts]. 17 May. Kipling, Rudyard (1906) Puck of Pook’s Hill. London: Macmillan & Co.
Tolkien, J.R.R. (1983) The Monsters and the Critics and Other Essays, edited by Christopher Tolkien. London: George Allen & Unwin. Thanks for the review! We were somewhat stumped by “puckish”, but really ought to have remembered Kipling: your analysis is undoubtedly right. Nice to have a better explanation for that point!